Françoise Le Calvez and her enologist husband Pascal Frissant work their domaine with passion and acumen high in the Mediterranean hinterlands. Their vineyards are in Le Causse and Le Petit Causse, names referring to exposed rock and garrigue and designating the two highest zones in the Minervois appellation. At 750 to 1,350 feet above sea level, these zones have relatively cool nights and the growing season is the longest in the AOC (domaines down on the plain often begin harvesting a full two weeks earlier). 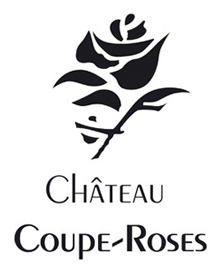 The wines from Coupe Roses have excellent acidity and freshness, which Françoise adores, without any plodding, overripe character, which she avoids like the plague. The Languedoc wine region of France is located on the border of the Mediterranean Sea, between the Rhône delta and Spain. The Languedoc region produces mostly red wines, a large portion of which is "Vin de Table" and "Vin de Pays". Languedoc wines are everyday drinking wines. Vineyards in the Languedoc are generally planted along the coastal plains of the Mediterranean. The peak growing season (between May and August) is very dry and the majority of its rainfall occurs during the winter. The main grapes found throughout the Languedoc wine region are Carignan, Syrah, Grenache, Mourvèdre, Cinsaut (red); Maccabéo, Grenache Blanc, Bourboulenc, Picpoul, Clairette (white).